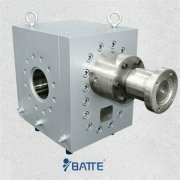 Rubber extrusion pump is also named as rubber gear pump or extrusion pump for rubber, the use of friction and shear forces between the rubber and the inner wall of the cylinder, ZB-R series rubber gear pump is an efficient self-cleaning function, compact design, optimized fluid channels. 1. Screw Extruder (single screw) is the use of friction and shear forces between the rubber and the inner wall of the cylinder, so that the compound softens, while pressurized and extruded through a compound of the constant pressure type extruder . 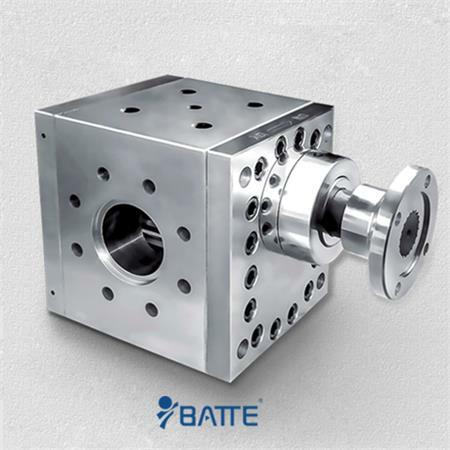 Once the extrusion pressure, the extrusion rate will be reduced. 2. Rubber extrusion gear pumps screw, no mechanical pulse generating element of this phenomenon, however, since the friction coefficient of rubber and the barrel wall and between the screw will change (by temperature, physical properties of rubber and operating conditions The factors), so it is easy to change out of the situation. 3. 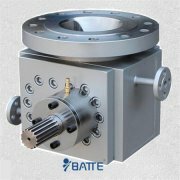 Currently, tires and other special-purpose rubber extrusion process has begun using extrusion gear pumps. 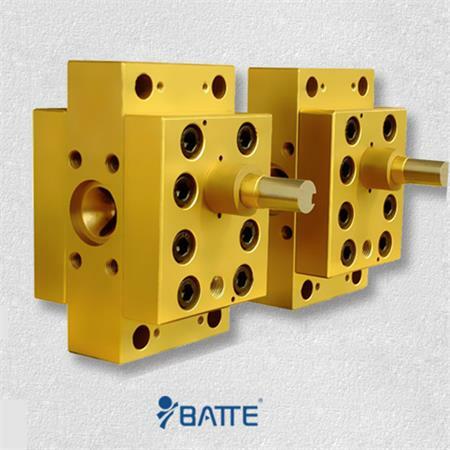 It is believed that general-purpose rubber extrusion areas, arc pump will also be widely used. Rubber extrusion pump suitable for butadiene rubber, chloroprene rubber, EPDM, SBR, NBR, hot rubber and other processes. 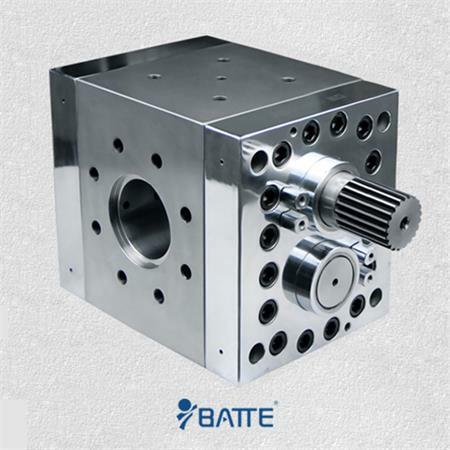 Batte Machinery Zhengzhou Co.,Ltd is specialized in the production and processing of extrusion pump manufacturers.Main business:Extrusion gear pump, Metering gear pump, Rubber gear pump, Chemical gear pump, Melt pump, Gear melt pump, Metering melt pump, Booster melt pump, Circular melt pump, Plastic melt pump, High-viscosity melt pump, Polymer melt pump, High temperature melt pump, Pipeline gear pump, Rubber gear pump,etc.